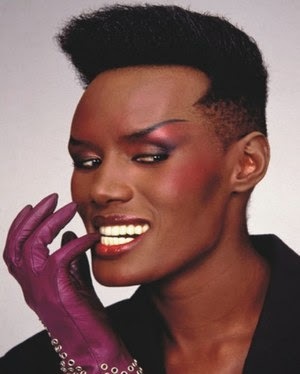 Here is a song used as the score of the movie "Frantic" (1988) performed by the glamorous and statuesque Grace Jones. 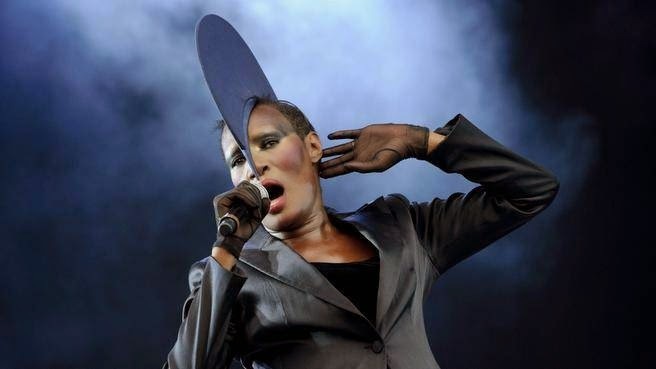 Grace Jones (born Grace Mendoza in 1948, in Spanish Town, Jamaica) is a supermodel, singer and actress. Jones secured a record deal with Island Records in 1977. The three albums she recorded - Portfolio (1977), Fame (1978), and Muse (1979) - generated considerable success in that market, most of which came with a cover of Édith Piaf's "La Vie en Rose". During this period, she also became a muse to Andy Warhol, who photographed her extensively. The well-received "Slave to the Rhythm" hit #12 in the UK. Many of her songs are regarded as classics to this day. In November 2004, she sang her hit "Slave to the Rhythm" at a tribute concert at Wembley Arena. 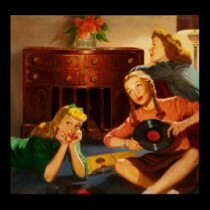 She received rave reviews, despite being absent in the music scene for some time. Jones' work as an actress in mainstream film first began with the role of Zula, the amazon in the 1984 film "Conan the Destroyer" alongside Arnold Schwarzenegger. She next landed the role of May Day, in the 1985 James Bond movie "A View to a Kill". While some critics have suggested that Jones "speak-sings" often in her songs, she actually possesses a 2⅓ octave range. Her natural baritone is used on songs like "Slave to the Rhythm", while she is able to hit high notes on "La Vie En Rose". 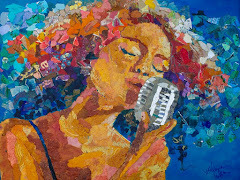 The stylized "speak-sing" in general has been compared to an ancient singing technique which for centuries has been a part of some African cultures. Many of her recordings feature a monotone vocal style, though Jones could also take on jazz numbers. Listen to Grace's rich voice and enjoy her grace!